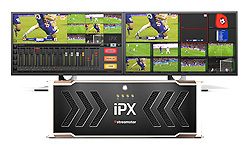 Robust, high-performance, 8 channel, connected live production and streaming studio that confidently delivers broadcast quality results redefying remote live sports production. 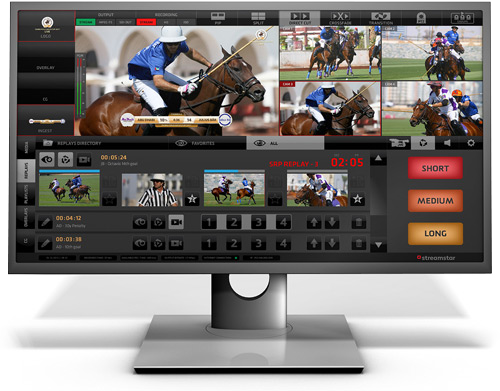 Loaded with professional productivity features, including multi-camera instant replays, slow-motion, dynamic live sports graphics, PTZ cameras remote control and a high degree of automation, it is the most advanced, live sports production solution available. 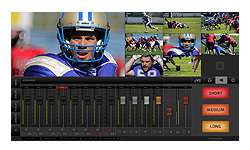 offering a complete set of professional features including multi-channel instant replays with slow-motion. 6-channel, live production and streaming studio. 4-channel, live production streaming studio. 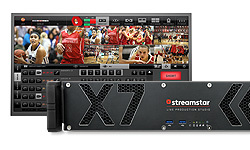 2-channel live production streaming studio. Streamstar® CASE 800 is the crown of our award-winning portable live production CASE series. 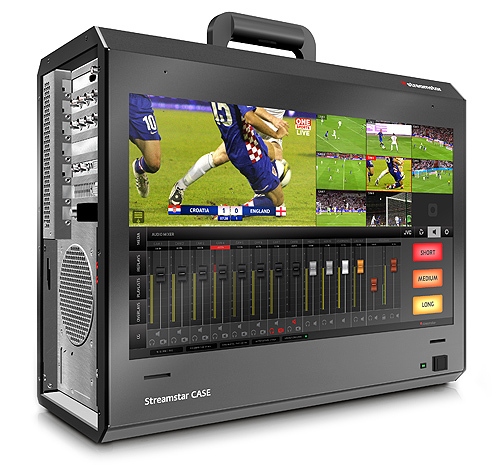 Reliable, high-performance, 8-channel vision mixer, switcher and recorder with the best in business instant replay and slow-motion system - built into a fine-tuned, beautifully engineered, portable case. 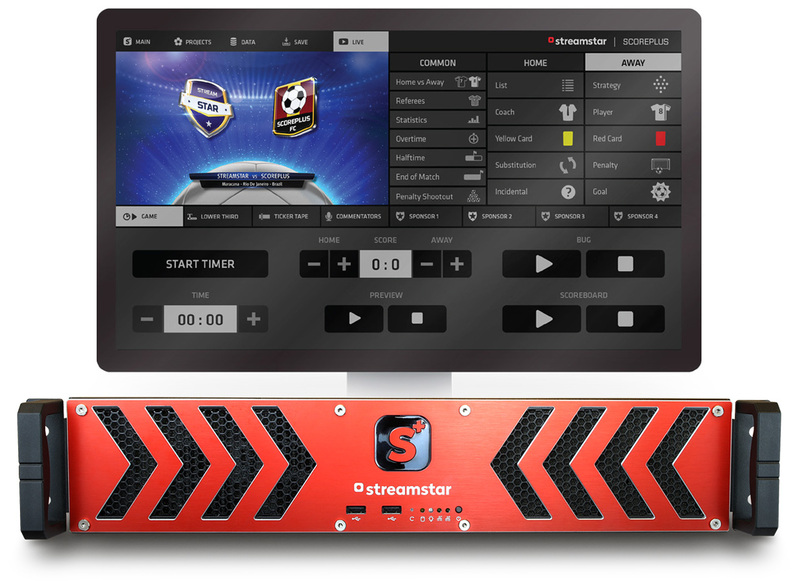 Streamstar® CASE 800 - is the ideal live sports streaming solution when mobility and small form factor is needed. Revolutionary live production and streaming studio software, that enables users to easily produce and stream professional, live, multi-camera video productions. Broad range of productivity features, unmatched speed and its intuitive, touch screen user interface allow for a remarkable speed and ease of use. 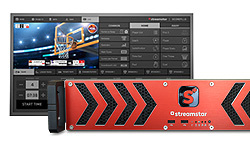 Download a FREE TRIAL and see for yourself why Streamstar is the Nr.1 live sports streaming software. 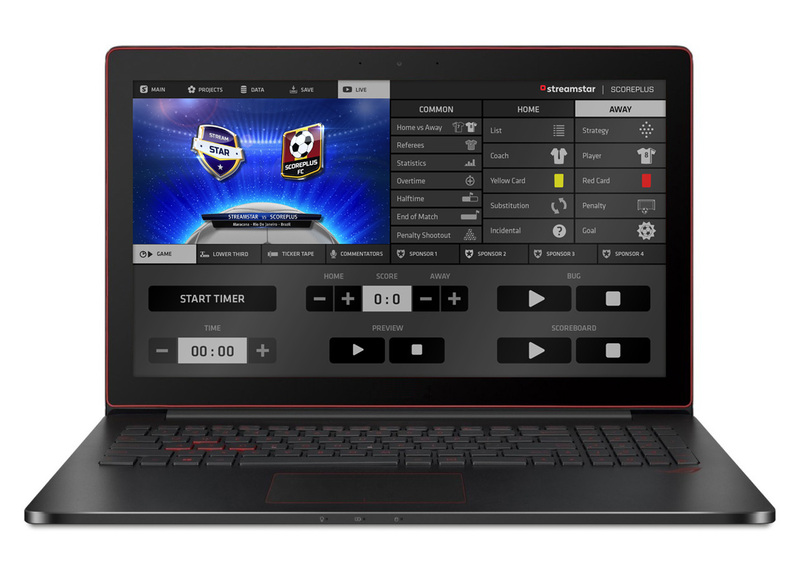 Revolutionary live sports graphics software that blends groundbreaking IP technology with brilliant design to deliver broadcast-quality sports graphics at an incredibly affordable price. 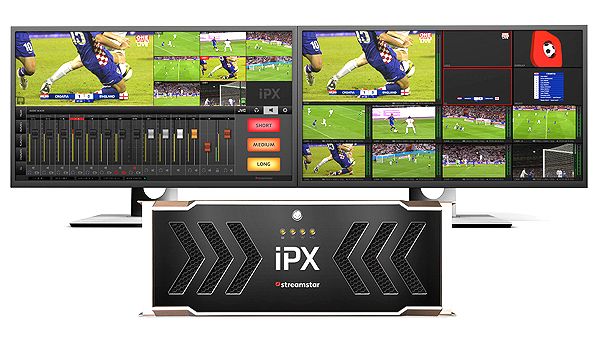 Professional, live sports graphics server solution offering reliability, high performance, precise game management features, brilliant graphics and advanced IP technology at an affordable price.